Humans have a limited capacity to see in the dark when compared to some other mammals. This limited capacity is not something that most of us bother with as artificial lighting has largely negated the associated impairment of functioning at night. However, when this nighttime eyesight ability starts to decline then it should be investigated further as this may be a sign of some underlying eye or vision problem. 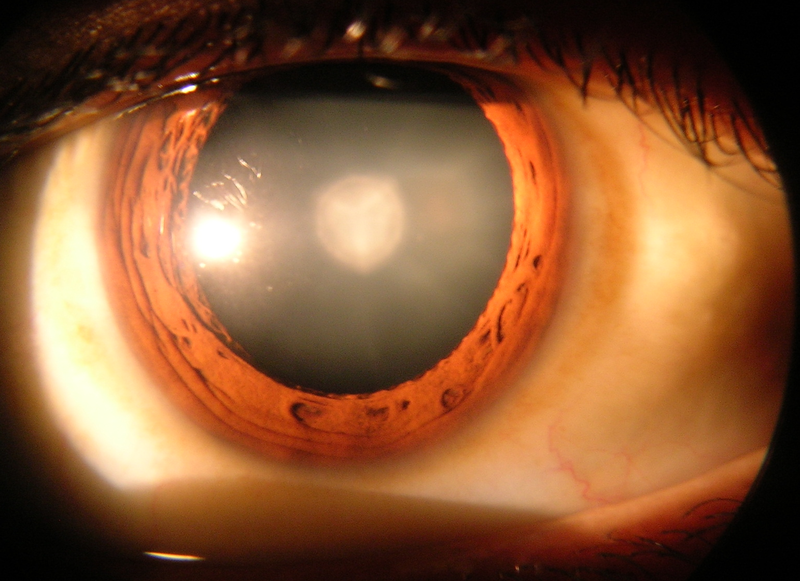 Cornea: the transparent outer part that allows light to enter the eye and also bends the light to cast a clear image. Iris: the aperture that can widen or narrow to control the amount of light entering the inner eye through the pupil. Humor: aqueous and vitreous humor that fills the chambers of the eye but is clear enough to allow light to pass through. Lens: bends the light as necessary to focus on the most light-sensitive part of the eye to create a clear image. Retina: the light-sensitive layer that converts the light striking it into electrical impulses which travel along the nerve to the brain. If these structures are even slightly damaged or dysfunctional then it may first become noticeable with diminishing night vision. Beyond these problems, poor night vision may also stem from the chemical reactions that facilitate vision particularly in the dark. Light strikes photoreceptors in the retina and certain chemicals known as photopigments become ‘excited’ and then eventually nerve signals are generated and transmitted to the brain. 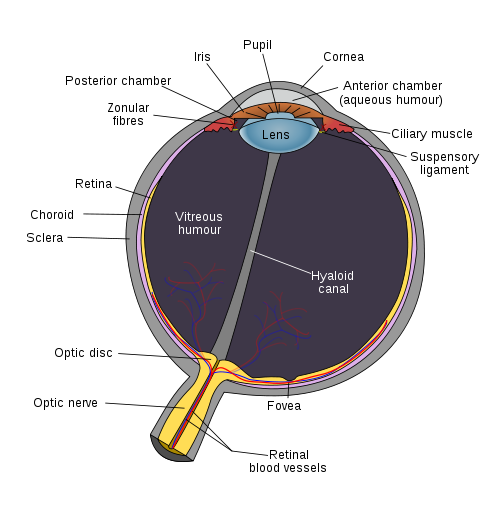 The are two types of photoreceptors – rods and cones. The latter, cones, are responsible for color vision and function best in bright light. Rods on the other hands can continue to function even in dim light. Therefore it is the rods that are almost entirely responsible for night vision in humans. The pigment rhodopsin in rods are derived from vitamin A and deficiencies of this vitamin therefore leads to night blindness. Sometimes poor night vision is not due to any problem with the eye but rather due to environmental factors. For example, poor lighting will impair the night vision. People’s ability to see at night does vary from individual to individual and age is another factor even in relatively healthy eyes. When moving from a bright area to a dark area, the eye requires a period of time to adjust to the low light levels. During this adaptation phase eyesight may be severely impaired in a dark room. Bright light can also affect night vision, usually temporarily. For example, spending a day outside in the bright sunlight not only puts your skin a risk of injury (sunburn) but also your eyes. A person may find that night vision can be impaired for a day or two after being in bright light, like sunlight, for a sustained period of time. Similarly there can be impairment with the light emitted by an arc welder or similar hight intensity light devices. Protective eye wear can prevent this impairment of nighttime eyesight. As mentioned the rods (photoreceptors) are derived from vitamin A. Therefore a deficiency of vitamin A can lead to impaired night vision, as is seen with night blindness. Overall a vitamin A deficiency is rare in developed nations. Vitamin A is found in leafy green vegetables, carrots and other foods. When a deficiency does occur it is usually due to problems with absorption of vitamin A rather than a diet lacking in vitamin A. This may occur with various gastrointestinal diseases and certain pancreas disorders. Zinc deficiency may also contribute to night blindness. It works in synergy with vitamin A and a lack of zinc can therefore affect the way vitamin A works. Zinc deficiencies are also relatively uncommon in developed nations. The micronutrient is found in meat, beans and nuts. The lens of the eye is transparent to ensure that light can pass through. However, if the lens becomes opaque in some way then the vision is impaired. Clouding of the lens is known as a cataract. It impairs the light passing through it and usually brighter light is required to see at the same level. Most people report a gradual dimming of vision. Cataracts occur for various reasons but most of the time it is related to a previous injury to the eye or with age-related changes in the lens. Macular degeneration is a condition where the most light-sensitive part of the retina, known as the macula, deteriorates. It is usually related to aging, hence the term age-related macular degeneration. The exact cause is not clearly known but a host of factors such as aging, family history, cigarette smoking, high blood cholesterol, high blood pressure and diabetes are known to increase the risk. Diabetic retinopathy is a condition where the elevated blood glucose levels seen in diabetes mellitus causes damage to the light-sensitive layer of the eye (the retina). Initially it causes vision problems but in time it can lead to blindness. The complication is more likely to occur and be severe in people with poorly controlled long term diabetes mellitus. Retinitis pigmentosa is an inherited group of disorders where the retina deteriorates. It is a rare condition that can eventually lead to blindness. Although specific genes have been identified it appears that other environmental factors such as stress light exposure can also contribute to the condition. Although LASIK is known to be a largely safe procedure for correcting refractive errors of the eye, complications can sometimes occur. Poor night vision is one of these possible complications. Most people experience it as glare at night and halos around objects that poses a major problem for nighttime driving. The glare and halo may even occur during the daytime but usually does not affect vision to a major degree as it does at night. However, there are instances where overall night vision is impaired after LASIK surgery.